This is my 400th post. 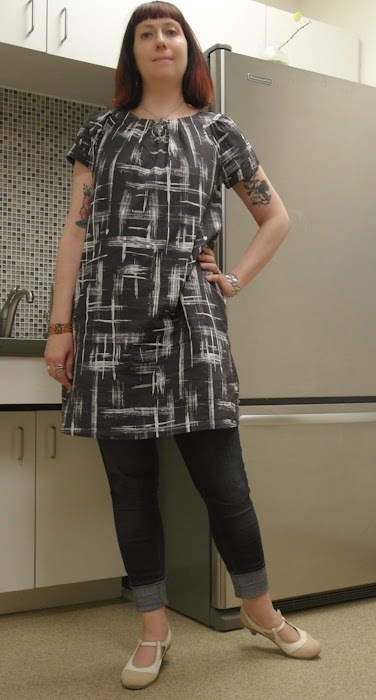 I waited until I had a few cute outfits to post rather than having my 400th post being me wearing jeans and a tunic/dress. See - kinda boring. Though this dress will forever be known as my Duran Duran dress. This was also the day before I got my hair done at a new place. This is a better dress for post 400. You can't really tell here but my hair is much redder and the colour isn't fading like it has from the other place I've been going. I had to go quite far afield to get there but it was the salon experience I was looking for. 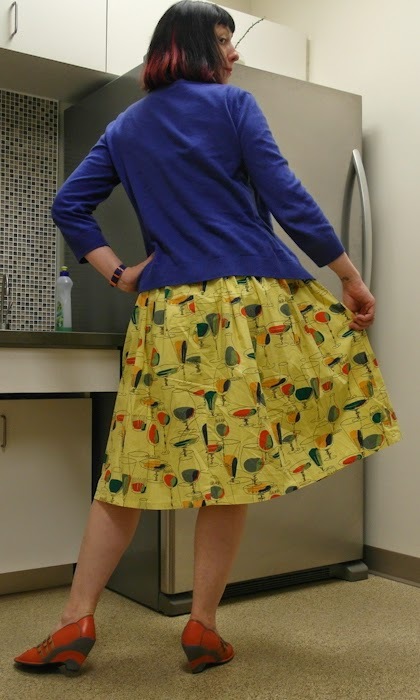 This is my drinking dress! Whew! 400 posts is something to celebrate - that's a lot of outfits. 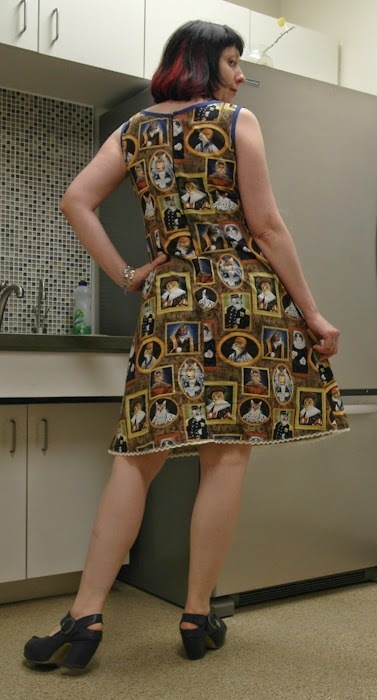 Love the print on the cat lady dress. It was great to see you this weekend. I'll be doing my blog post in the next day or two. Congratulations on 400! I like all of these outfits and of course they suit different moods and situations. Your hair looks great too! It's both a thrill and a relief to find a salon and hairstylist who gets it right. love your crazy cat lady dress, and your smile wearing it!! 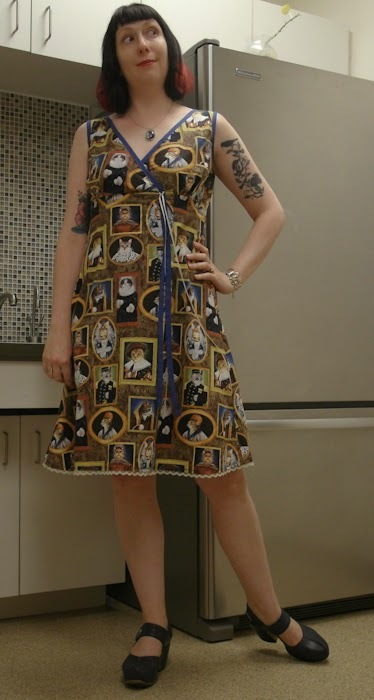 My favourite is the crazy cat lady dress too!